ARP Nissan VQ35 Rod Bolt Kit Connecting Rod Bolt Kit; ARP2000 Pro Series; Complete Kit. You should also know that ARP rod bolts are superior to those from other manufacturers. Especially in the area of fatigue strength. This is a set of factory pistons with rods removed from a 2004 Nissan 350z. . Honda Parts Unlimited. OEM PISTON WITH ROD. REMOVED OF A GOOD RUNNING ENGINE. FITS 2003-3005 NISSAN 350Z. 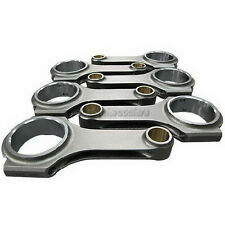 Eagle Nissan VQ35DE Engine Connecting Rods (Set of 6). 2003-2007 Infiniti G35 Base V6.3498cc Engine Components::Connecting Rods - 6Cyl. 2005 Nissan 350Z 35th Anniversary Edition V6.3498cc Engine Components::Connecting Rods - 6Cyl. 01-06 NISSAN/INFINITE VQ35 350ZX/G35/Maxima. CXRacing H-Beam Connecting Rods (6 PCS) for. All Race Cars Below Use CXRACING Products. Forged Aircraft 4340 Steel, Highest Level of Strength. Rod Length: 5.677" (144.2 mm ). There is a vast difference in quality between a Manley "H" Beam and the "other" inexpensive H-Beams on the market. 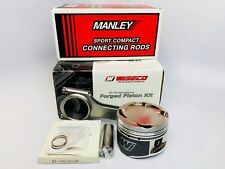 Manley Rods are Wiseco is unique because we forge all of our own pistons in house, and produce all of our own forge tooling right here in the USA. 01-06 NISSAN/INFINITE VQ35 350ZX/G35/Maxima. CXRacing H-Beam Connecting Rods (6 PCS) For. H-Beam Connecting Rods (6 PCS). Forged Aircraft 4340 Steel, Highest Level of Strength. Rod Length: 5.677" (144.2 mm ). Part Number: SC73371, 14019-6. Engine(s): VQ35DE. Pistons Features Connecting Rods Features H-Beam Connecting Rods made from 4340 Forged Steel. Make: Nissan. (Pictures for display purposes only). Made for 1mm valve sizes. 01-06 NISSAN/INFINITE VQ35 350ZX/G35/Maxima. CXRacing H-Beam Connecting Rods (6 PCS) Bolts For. 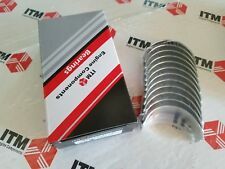 H-Beam Connecting Rods (6 PCS). Bolts :3/8". Bolts ( 12 PCS). Rod Length:5.677 " (144.2 mm). Rod:2.165" (55mm). 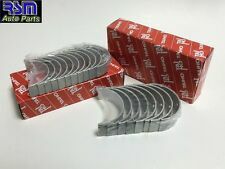 Piston Rings Fit 01-12 Nissan Infiniti 3.5L 4.0L DOHC VQ35DE VQ40DE. Provides better seal, improves performance, and decreases oil consumption. 50% longer life, reduced oil consumption, reduced blow by, reduced wear, reduced breakage, and reduced friction. Replace Fel-Pro Part #: 12033-4W001, 12033-4W005, 12033-8J100. Model Number K605M96AP. Nissan 350Z VQ35 4v Dished -10cc 96.00mm. YOU WILL RECEIVE CORRECT ITEM FOR YOUR VEHICLE. 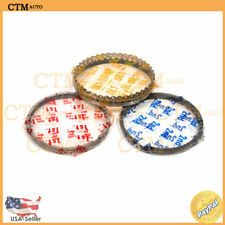 All product color details are provided in the specifications above. All of our products are 100% authentic. Fits 2003-2006 Nissan 350Z with 3.5L VQ35DE Engine. Fits 2003-2006 Infiniti G35 Sedan with 3.5L VQ35DE Engine. Fits 2003-2007 Infiniti G35 Coupe with 3.5L VQ35DE Engine. Every set of Wiseco sport compact pistons are made from dedicated in-house forgings to produce a light weight piston with superior strength and optimal design. 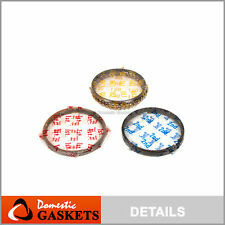 Wiseco Pistons 350Z G35 VQ35DE 96mm 11.0:1 K606M96. CP Pistons. Ross Racing Pistons. With over 20 years of experience in the automotive industry and a lifelong passion for motor sports, we have the knowledge and expertise to assist you with every aspect of your vehicle. Quantity sold : Set of 2. Therefore all implied warranties that may apply to your part are limited to the duration of this written warranty. Each warranty gives you specific rights, and you may have other rights which vary from state to state. By using dedicated forgings specific to the final piston shape, Pro Tru pistons are stronger and lighter than industry standards. World renowned for our work building race winning pistons, Wiseco utilizes experience from a diverse background of the most sophisticated sport compact engines. Model Number K606M955. YOU WILL RECEIVE CORRECT ITEM FOR YOUR VEHICLE. All product color details are provided in the specifications above. All of our products are 100% authentic. It may require professional modifications to make it fit. Fits 2003-2006 Nissan 350Z 3.5L V6 (VQ35DE Engine). Fits 2003-2007 Infiniti G35 Coupe 3.5L V6 (VQ35DE Engine). Fits 2003-2006 Infiniti G35 Sedan 3.5L V6 (VQ35DE Engine). 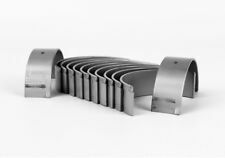 Eagle H-beam connecting rods are forged from SAE 4340 steel for superior strength. 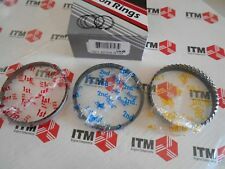 Pistons w/ Rings @STD fit Infiniti G35 M35 Nissan 350Z Pathfinder 3.5 VQ35DE. Ultra performance premium grade aluminum alloy pistons. Minimizes fractures & cracks, no more gummed up oil and reduces engine failure. Reduce tension with better fuel economy, reduce cylinder wear. 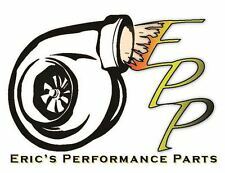 Replace Fel-Pro Part #: A2010-4W100. 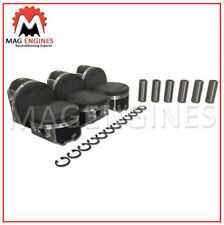 Pistons w/ Rings @STD fit Infiniti G35 Nissan 350Z Altima Maxima Quest VQ35DE. Ultra performance premium grade aluminum alloy pistons. Minimizes fractures & cracks, no more gummed up oil and reduces engine failure. Reduce tension with better fuel economy, reduce cylinder wear. Replace Fel-Pro Part #: A2010-7Y001, A2010-8J110. World renowned for our work building race winning pistons, Wiseco utilizes experience from a diverse background of the most sophisticated sport compact engines. By using dedicated forgings specific to the final piston shape, Pro Tru pistons are stronger and. Model Number K606M96. YOU WILL RECEIVE CORRECT ITEM FOR YOUR VEHICLE. All product color details are provided in the specifications above. All of our products are 100% authentic. It may require professional modifications to make it fit. Rod will take standard bearings. See photos for further detail! 2003-2007 Nissan 350z 6 Cyl 3.5L VQ35DE. 2002-2018 Nissan Altima 6 Cyl 3.5L VQ35DE. 2001-2014 Nissan Maxima 6 Cyl 3.5L VQ35DE. 2006-2016 Nissan Murano 6 Cyl 3.5L VQ35DE. Armor Plated wiseco pistons have almost a bronze colored tint to the top of the piston and the wrist pin bore. Wiseco's Armor Plating is an abrasion resistant plating that raises the hardness of the aluminum, increases the durability of the ring grooves, prevents micro-welding of the piston rings, reduces carbon buildup and combats corrosion caused by detonation. Engine: VQ35DE. Wiseco pistons go through more finishing processes than any other piston on the market, without driving the cost up. Car Model: 350Z / G35. Years: 2003 -2006, 2007 G35 Coupe. Our Sport Compact pistons are made from dedicated forgings produced in-house to give you a light weight piston with superior strength and optimal design. Engine: VQ35DE. Wiseco pistons go through more finishing processes than any other piston on the market, without driving the cost up. Car Model: 350Z G35. Our Sport Compact pistons are made from dedicated forgings produced in-house to give you a light weight piston with superior strength and optimal design. Part Number: SC7337, 14019-6. Engine(s): VQ35DE. Pistons Features Connecting Rods Features H-Beam Connecting Rods made from 4340 Forged Steel. Make: Nissan. (Pictures for display purposes only). Made for 1mm valve sizes. Car Model: SC7338: 350z G35 Altima Maxima / CRS5680N3D: 350Z G35 VQ35DE. Engine: VQ35DE. Their extensive shelf catalog provides the user with many of the options that you'd normally be resigned to going to a custom piston for. Wiseco is unique because we forge all of our own pistons in house, and produce all of our own forge tooling right here in the USA. In addition, in-house dyno testing gives Wiseco the ability to develop state-of-the-art technology such as new shapes, coatings, and components, and lead the industry through rigorous R&D. Wiseco pistons go through more finishing processes than any other piston on the market without driving the cost up. Eagle Rods have been the most popular rod choice for most engine builds since our fathers were out racing. Part Number: SC73391, 14019-6. Engine(s): VQ35DE. Pistons Features Connecting Rods Features H-Beam Connecting Rods made from 4340 Forged Steel. Make: Nissan. (Pictures for display purposes only). Made for 1mm valve sizes. Engine: VQ35DE. Armor Plated wiseco pistons have almost a bronze colored tint to the top of the piston and the wrist pin bore. Wiseco's Armor Plating is an abrasion resistant plating that raises the hardness of the aluminum, increases the durability of the ring grooves, prevents micro-welding of the piston rings, reduces carbon buildup and combats corrosion caused by detonation. Are people not looking twice at your sport compact?. Give them more than a little surprise by installing a set of Wiseco sport compact pistons. They're available for a variety of pocket rockets. Where appropriate, designs incorporate the strength to deal with nitrous, turbos, or blowers. There is a vast difference in quality between a Manley "H" Beam and the "other" inexpensive H-Beams on the market. Weight matched to /- 1.5 grams. Perfectly round big and small ends. We have used these in 800whp builds with no trouble whatsoever. Fits: 2003-2006 Nissan 350Z with 3.5L V6 (VQ35DE Engine). Fits: 2003-2006 Infiniti G35 with 3.5L V6 (VQ35DE Engine ). CP Nissan VQ35DE Pistons will give you the edge on your competition competition. CP Pistons features excellent ring seal, higher vacuum, lower blow by, greater durability, and increased horse power and torque. 2007-2009 Nissan 350Z - VQ35HR Engines. Part # SC7338 - 96mm Bore ( 1.0mm) - 8.25:1 Compression. These pistons are already designed for oversized valves and high lift camshafts. All of our pistons represent the highest quality and are engineered for maximum power.